Contacted By Forster & Garbus Debt Collectors? Contact our Forster & Garbus debt settlement lawyers today. F&G files more debt collection lawsuits in the Brooklyn and Queens County Civil Courts than almost any other law firm. 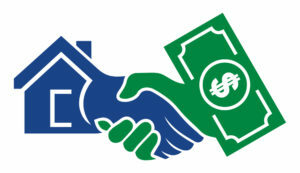 F&G files countless consumer debt collection lawsuits on behalf of banks, original creditors and debt buyers alike. Our Forster & Garbus debt settlement lawyers defend many clients and consumers against collection lawsuits in Kings County and Queens County, Civil Court of the City of New York, and throughout New York City. The creditors represented by F&G include consumer banks and credit lenders Citibank, N.A., Citibank (South Dakota), N.A. – issuer of Sears Credit Cards and Home Depot Credit Cards, American Express, Discover Bank, Bank of America / F.I.A. Card Services, N.A., Capital One Bank (USA), N.A., Department Stores National Bank – issuer of Macy’s Credit Cards and Bloomingdales Credit Cards, GE Money Bank – issuer of retailer credit cards, Chase Bank (USA), N.A. / JPMorgan Chase, Barclays Bank, HSBC Bank Nevada, N.A., Merrick Bank Corp., State Farm Bank, Capital One Auto Finance, Inc., Network Insurance Trust, Sherry Associates Federal Credit Union. Our Forster & Garbus debt settlement lawyers are also experienced in responding to F&G regarding third party debt buyer clients and assignees of charge-off accounts Portfolio Recovery Associates – assignee of HSBC Credit Cards, Midland Funding, LLC – assignee of Chase Bank Credit Cards, Citibank Credit Cards and HSBC Credit Cards / Midland Credit Management, Asset Acceptance, LLC – assignee of Victoria Secret Credit Cards, Atlantic Credit & Finance, Inc. – assignee of HSBC Credit Cards and Chase Bank Credit Cards, Cypress Financial Recoveries, LLC, LVNV Funding LLC – assignee of Sears Credit Cards and Household Bank Credit Cards, Northstar Capital Acquisition, LLC – assignee of Wells Fargo Credit Cards, OneMain Financial, Inc., Razor Capital, LLC – assignee of Citibank Credit Cards. Forster & Garbus debt collectors have a long history of legal complaints against them, many for violation of the Fair Debt Collection Practices Act. If you have defaulted on your credit card accounts, don’t be surprised if you are contacted by Forster & Garbus law firm. Call us for a free case review and legal response. Contact our Forster & Garbus debt settlement lawyers for a free case review.